The father of four children who died after they were trapped under water in his Land Rover spoke of losing his 'rays of light' yesterday. Nigel Gresham, 36, said he hoped no other parent would have to go through the nightmare he and his partner were enduring. 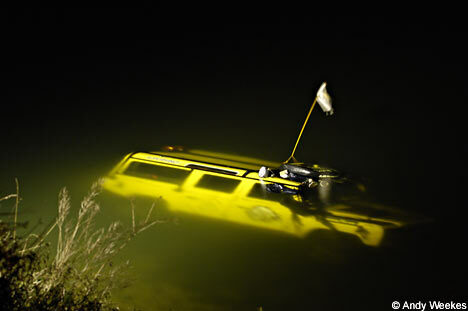 Mr Gresham and Sara Bolland, 31, were with all seven of their children when their 4x4 plunged into a 15ftdeep stretch of the River Witham at Tattershall Bridge, Lincolnshire. Mr Gresham and Miss Bolland got out of the sinking vehicle but were unable to free the youngsters, who were all thought to be wearing seatbelts. 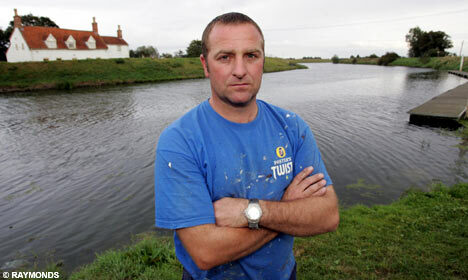 Passing motorist Colin Dunlop, 35, and his brother-in-law Martin Lindley, 41, leapt into the water fully clothed and pulled the children from the vehicle. All nine family members were taken to hospital after Sunday's drama, but the youngest child, Willow, who was just weeks from her third birthday, died hours later. On Monday her eight-year- old sister Keavy died, and on Tuesday so did four-year-old Angel and her sixyearold brother Thor. Mr Gresham and Miss Bolland, of Chapel Hill, Lincolnshire, had to make the heartbreaking decision to turn off the life-support machines of Keavy, Angel and Thor. Mr Gresham said yesterday: "Each of my children is like a ray of light. Willow used to come and cuddle me in the mornings, and Keavy would cuddle me in the morning and evenings. "Thor was car-mad. Angel was always reading stories to us to show us how well she could read. "They were a constant source of amazement and pleasure to us, and so full of life." The couple and their two oldest children, Liam, 12, and Star, 13, were discharged from hospital on Monday. 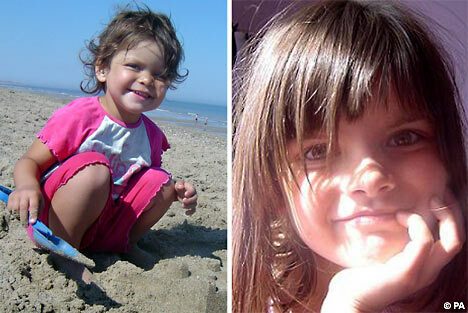 The third surviving child, Amber, nine, was yesterday in a stable condition at Leicester Royal Infirmary. Mr Gresham thanked the heroes who pulled his children from the car. He said: "They might say anyone would have done it but they actually did do it without hesitation. We shall be forever grateful." The Land Rover is thought to have slipped down the riverbank after squeezing past a minibus towing a trailer of canoes in the opposite direction. Lincolnshire police have interviewed the minibus driver and impounded the vehicle. 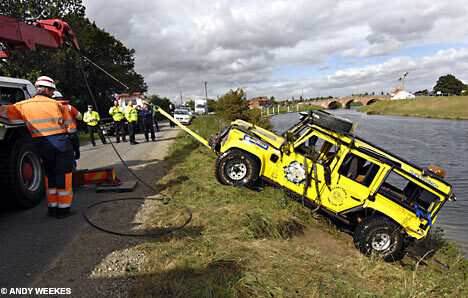 Mr Gresham-had set up a website devoted to his J-reg Defender 110, which he named 'Yellow 110'. He wrote: "Land Rovers aren't a vehicle or even a way of life. "They are a highly infectious disease. Nigel Gresham said the children he had lost were all like "a ray of light"
The father of four children who died after the Land Rover they were travelling in crashed into a river in Lincolnshire has said his family is "totally devastated" at the loss. Nigel Gresham, 36, lost four children in the accident, which took place last Sunday at Witham Bank off the A152 at Tattershall Bridge. Five-year-old Thor and his sister Angel, four, were pronounced dead at the Leicester Royal infirmary yesterday. Their deaths followed that of Willow, two, who died from wounds she sustained in the crash at Lincoln County hospital on Monday, while their sister Keavy, eight, died on Sunday. 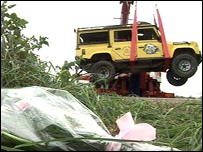 At the time of the accident nine people were in the 4x4 vehicle, including Mr Gresham and his partner Sara Bolland, 31. 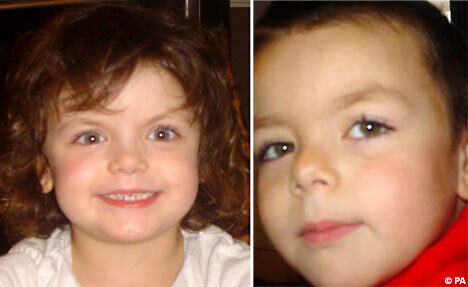 Their remaining three children, Star, 13, Liam 12, and Amber, nine, have all survived the accident. In a statement released through Lincolnshire police, Mr Gresham said all his children were like "a ray of light" to him. "They were a constant source of amazement and pleasure to us and so full of life," he said. "People tell me that our children are always so polite, saying 'please' and 'thank you'. They were always helping their mum out and were typical children in so many ways, cooking and baking together," Mr Gresham continued. "I would like to thank the police, fire brigade, ambulance, A&E staff at the hospitals and Lincolnshire air ambulance. Everyone worked tirelessly, no one stopped in their efforts. I saw doctors and nurses working so hard to help. We spent a night in A&E and the support we got from staff was phenomenal. They helped us through what I believe was initially the hardest part, just with their general kindness. "I also would like to thank the three men who did not hesitate to jump in and help rescue our children. They might say anyone would have done it, but they actually did do it without hesitation. "We will be forever grateful to them."